14 Common Mixing Mistakes… & How To fix Them! No matter how many years of production experience you have under your belt, we can all find ourselves occasionally falling into bad habits in the studio. Whether it's applying EQ and compression on auto-pilot without using our ears properly, over boosting or cutting certain frequencies, or monitoring our tracks at the wrong level, even veteran producers can slip into a routine of doing things we know we shouldn't. That's why we're taking a back-to-basics approach to production in this issue's cover feature. 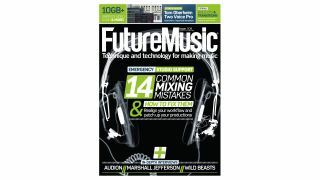 We're examining fourteen of the most common mixing pitfalls and showing you surefire ways to overcome them. Whether you're a new producer just learning the ropes or a seasoned pro looking to troubleshoot your workflow, we hope that our guide will help you overcome obstacles and make the most of your studio time. Pads & Strings - Classic hardware-made pad loops and multi instruments. Perfect for adding weight and warmth to your tracks. Arcade Melodies - Retro bitcrushed sounds that revive the crisp crunch of classic arcade game soundtracks and FX.